This is a copy of a paper in The Encyclopedia of Global Studies, edited by Helmut K. Anheier and Mark Juergensmeyer. Thousand Oaks, CA: Sage Publications, 2012. Please cite as: Deflem, Mathieu. 2012. "Interpol." Pp. 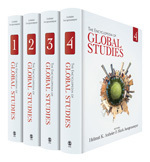 956-958 in The Encyclopedia of Global Studies, edited by Helmut K. Anheier and Mark Juergensmayer. Thousand Oaks, CA: Sage Publications. Interpol is a non-governmental organization that coordinates activities among police from different nations across the world. Originally founded in 1923, the organization has steadily increased its membership and has gradually expanded various instruments and institutions to facilitate international cooperation among police in various areas of criminal law enforcement. At present, Interpol comprises member agencies from 187 nations, which cooperate through a central headquarters located in Lyon, France. Interpol was established as the International Criminal Police Commission at a gathering of police in Vienna, Austria, in 1923. The meeting was independently organized by police officials, mostly from Europe, who sought to strengthen police cooperation in the wake of a rise in international crime after the end of World War II. Specific concerns were raised against existing legal arrangements in the fight against international crime, especially against extradition procedures, which were seen as slow and inefficient. The Vienna meeting therefore decided to institute new means of communication through which police of different nations could communicate more efficiently. To facilitate direct police-to-police communication on an international scale, a central headquarters was set up in Vienna through which information could be routed among all participating police agencies. Information to locate or arrest a criminal suspect could be transmitted by mail, telegraph, or radio. Additionally, the central headquarters issued a regularly printed magazine with information on wanted suspects. The areas of investigation of the international organization were explicitly limited to violations of criminal law at the exclusion of political offenses. Initially, the International Criminal Police Commission attracted police agencies from several dozen nations, mostly from Europe, but gradually the membership expanded. The Federal Bureau of Investigation joined as the formal representative of the United States in 1938, several months after the annexation of Austria by Nazi Germany. At that time, the Commission was taken over by the Nazi regime, first by installing an Austrian Nazi as head of the Viennese police, thereby also securing control of the international police organization, and subsequently by taking over the Viennese police as well as the International Criminal Police Commission and moving its headquarters to Berlin. During World War II, the international police organization was not active in matters of international cooperation. In 1946, a gathering of police at Brussels decided to re-establish the international organization as the International Criminal Police Organization. In its basic structure as an organization facilitating cooperation among police of different nations, the organization remained the same as before World War II. The central headquarters were moved to France, where they were first located in Paris and, from 1989 onwards, in Lyon. The name change to Interpol took place in 1956. The 1950s were a volatile time for Interpol primarily because the FBI grew suspicious of the participation by police agencies from Eastern-European countries that were under communist control. When it was discovered that the Interpol facilities had been used by police from Czechoslovakia to track down fugitives who had been granted political asylum in Germany, the FBI terminated its membership in the international police organization. Thereafter, agencies in the Treasury Department represented the United States in Interpol. In the latter decades of the 20th century, Interpol was not generally favored by the criminal police agencies across the world, both because the organization was politically suspect because of its wide representation of police from a multitude of nations as well as because police agencies typically prefer to conduct international police work unilaterally or on a limited collaborative basis involving police from as few nations as possible. The formal success of Interpol, to institute various means of international police communication and to attract a wide multilateral membership, thus ironically contributed to a relative neglect at the operational level to effectively use the organization. The 21st century has witnessed several renewed attempts by Interpol to become a meaningful organization in the fight against international crime. The most important catalyst of these changes was the revitalized police response against terrorism following the proliferation of international terrorist incidents during the 1990s and, most importantly, the events of September 11, 2001. The terrorist attacks of 9/11 propelled various changes at Interpol with respect to its infrastructure and fields of operation. At an operational level, Interpol has streamlined its operations to focus on a select number of international crimes, specifically terrorism and public safety, international fugitives from justice, drugs and criminal organizations, human trafficking, and financial and high-tech crimes. In terms of facilities, Interpol instituted a new Command and Coordination Centre that operates as a permanent point of contact for the various member agencies. Additionally set up are various specialized units to offer operational support, including a Crisis Support Group, a Criminal Analysis Unit, as well as Incident Response Teams and Disaster Victim Identification Teams. At the level of police communications, the most important change in recent years has been the introduction of an internet-based encrypted communication system, called I-24/7, which connects the central headquarters with the various participating agencies. Besides securing a broad international membership, Interpol also facilitates global police work by partnering with other international organizations. Though a non-governmental organization of police, Interpol maintains a formal agreement with the United Nations, which grants observer status in the organizations’ respective assemblies and enables cooperation in matters involving international crime. Interpol maintains similar cooperation agreements with the European Police Office (Europol) of the European Union, with the International Criminal Court, and with other law and law enforcement organizations. Though continually seeking to improve its image and expand its role in international police work, Interpol remains but one of several instruments at the disposal of police in the fight against international crime. Unilaterally enacted and limited collaborative efforts generally remain the preferred instruments of police cooperation. Anderson, M. (1989) Policing the World: Interpol and the Politics of International Police Cooperation. Oxford, UK: Clarendon Press. Barnett, M. & L. Coleman. 2005. ‘Designing police: Interpol and the study of change in international organizations’, International Studies Quarterly, 49, 593-619. Deflem, M. (2002) Policing World Society: Historical Foundations of International Police Cooperation. Oxford; New York: Oxford University Press. Deflem, M. (2006) ‘Global rule of law or global rule of law enforcement? International police cooperation and counter-terrorism’, The Annals of the American Academy of Political and Social Science, 603, 240-251.